Gemma Mason gave Stirling a shock lead towards the end of the first half following a corner, but less than 60 seconds later, City and Scotland international Hayley Lauder levelled proceedings with a fine strike from inside the box. Two second half goals from Kirsty Howat, an own goal and a strike by returning Irish striker Clare Shine, ensured a comfortable win in the end for the reigning Scottish Champions. City are back in SWPL 1 action next weekend as they travel to take on Forfar Farmington at Station Park. The club is devastated to announce that former player Katharina Lindner (Kat), sadly passed away yesterday. 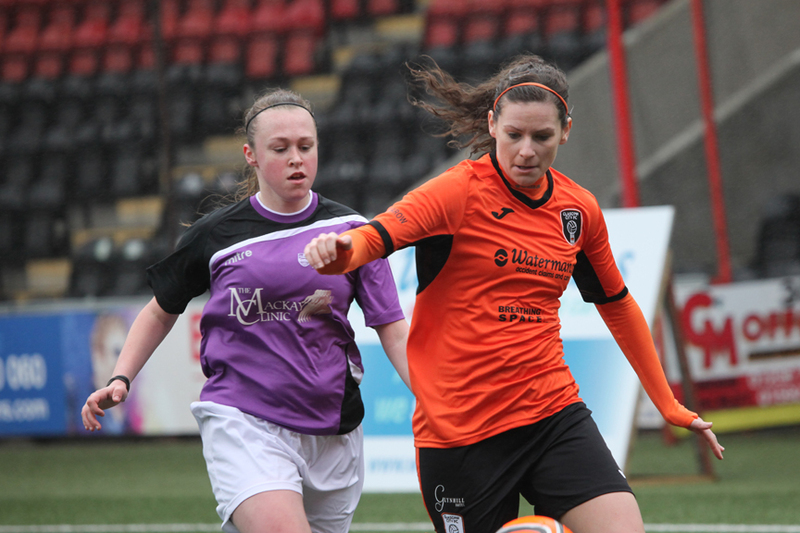 Kat, widely regarded as one of the greatest ever players to play in the Scottish Women’s game, joined Glasgow City in 2005 and was instrumental in the club’s amazing run of success. The wide forward started 173 times for Glasgow City, scoring 128 goals and is the club’s fourth highest goal scorer of all time. 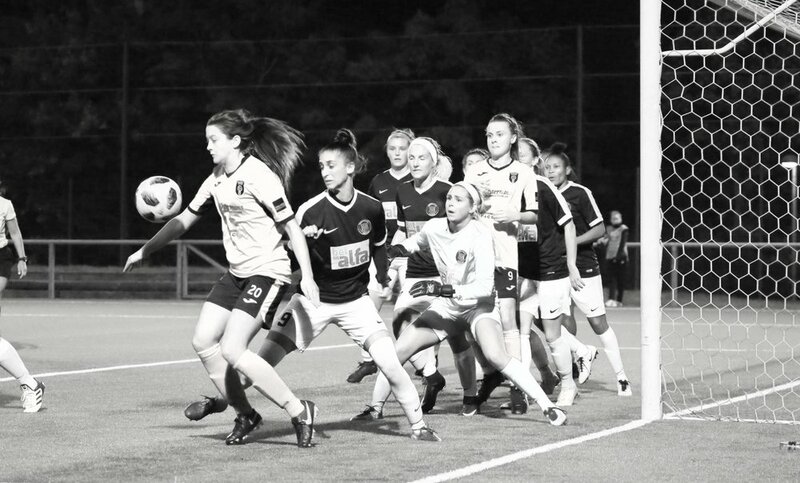 A former German youth international, Kat played for FFC Frankfurt in her native Germany winning the German League and Cup double, before moving to the USA on a Soccer Scholarship to Hartford in Connecticut. Whilst in the States, Kat was an NSCAA 1st team All-American, ranking her as the best player in her position and one of the best 11 players in the highest division of College women’s soccer throughout the whole of the USA. On joining City, Kat helped the club win five Premier League titles, two Scottish Cups and two League Cups and was part of the treble winning team in 2009. She retired at the end of 2011 after successfully helping Glasgow City become the first Scottish women’s team to reach the knock out stages of the UEFA Women’s Champions League, with City making it all the way to the last 16 for the first time. Not just was Kat an incredible athlete, she was also a highly respected Academic. Kat obtained her PhD at Glasgow University and spent the latter and longest part of her career as a lecturer at the University of Stirling specialising in gender, sport and queer theory within the Media, Communications and Culture department. Kat is also the partner of club co-founder Laura Montgomery. The couple have been together for 16 years and our heartfelt condolences go out to Laura and Kat’s family at this tragic time. Due to a sudden bereavement within the Glasgow City Family, the match this afternoon v Rangers has been postponed. We thank Rangers for the their co-operation and understanding at this difficult time. Glasgow City won 2-0 thanks to a goal from Abbi Grant in the first minute and an injury time penalty from Captain Leanne Ross. 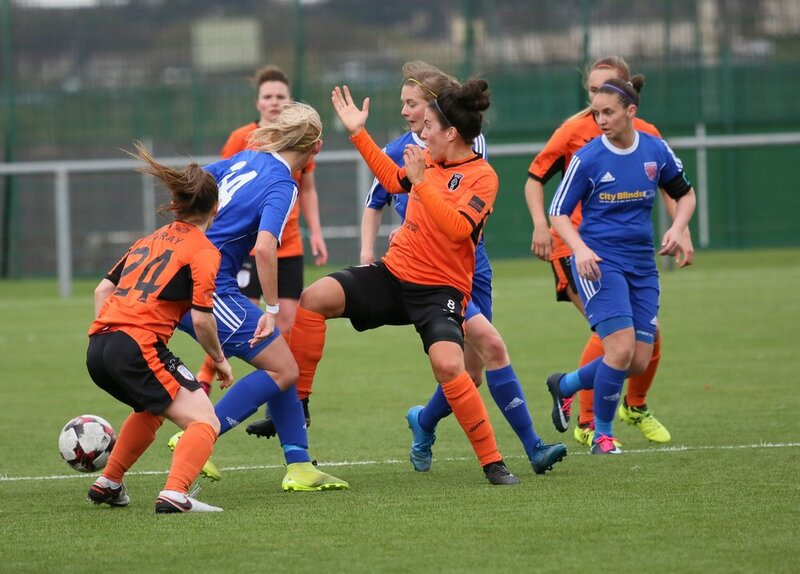 A second half Christie Murray goal proved the vital difference as Glasgow City picked up all three points in a match they dominated and should have won comfortably, but in the end could have dropped crucial points with Forfar going close on full time almost snatching a shock draw. It was an entertaining match in front of a decent crowd at Petershill football as City played some excellent football throughout periods of the ninety minutes but were guilty of wasting chances and facing an inspired Fiona McNicoll in Forfar nets, who seemed to thwart their every effort or had her woodwork save her. In total City hit the post once and cross bar twice as they tried to carve out an opening, before Christie Murray put the Forfar rear guard under pressure on the 74thminute, allowing her to sneak the ball into the back of the net. It was a more than a deserved lead for City, but similar to the rest of the match, they were unable to add to their tally and almost paid the price, when right at the death, Forfar had a rare foray into the City half and could and perhaps should have equalised, with the ball just going inches wide. City are in action next Sunday in the League Cup semi-final against Hibernian at The Falkirk Stadium. Kick is 12pm. A penalty from Leanne Ross and second half goals from Kirsty Howat and Joanne Paton ensured a 3-0 win for Glasgow City over Spartans and safe progression into the semi-finals of the League Cup. Despite controlling the lions share of the first half, City seemed to lack their usual cutting edge, not helped by an early change which saw striker Abbi Grant forced off through injury. A number of crosses came into the Spartans box, but lacked the type of quality to cause the home side any real problems. It was therefore no great surprise that the opening goal came from a set piece. Forward Kirsty Howat was brought down in the box and the ever dependable Captain, Leanne Ross, stepped up to convert the spot kick. Before the break, Spartans almost stunned the visitors as Zoe Johnstone raced through on goal, only to drag her shot wide. Whether it was the Spartans chance, or a half time dressing down from the Head Coach, but a much improved City team emerged for the second period and created numerous chances, which saw Hayley Lauder hit the bar twice before Kirsty Howat finished off a fine team move to make it 2-0. The third goal came from Joanne Paton as she got on the end of a great ball from Nicola Docherty, controlled well under pressure in the box and smashed a powerful shot past Rachel Harrison in the Spartans nets to make it 3-0 and safely put her side into the semi-finals. 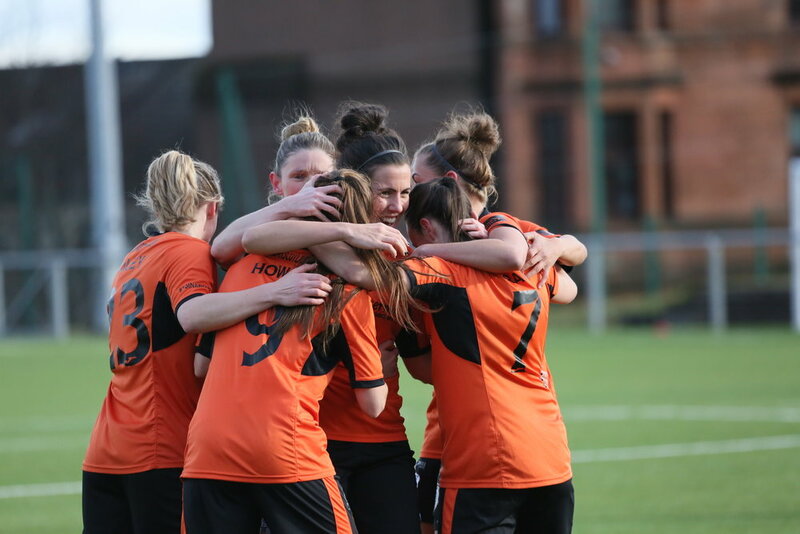 GLASGOW City breezed through to the quarterfinals of the SWPL Cup with a comfortable win against a plucky Kilmarnock side. It was the sort of glamour tie the Kilmarnock players had been looking forward to after promotion last season but there was to be no fairy tale ending for the SWPL 2 side. In the first half, Killie equipped themselves well. The first chance fell to Kirsty Wardlaw as Killie countered on seven minutes but her shot was saved by Erin Clachers. However, the somewhat inevitable happened and home side took the lead after 11 minutes when Nicola Docherty's cross was headed back across goal from Sam Kerry for team mate Kirsty Howat to head home. City began to pepper the Killie goal from range as the away defence stood strong and Morgan Hunter did well in the Killie sticks to see off efforts from Howat, Sam Kerr and Leanne Crichton. Kilmarnock could have been level when Wardlaw saw City stopper Erin Clachers off her line and hit the ball from halfway only to see her opportunistic effort cannon off the post. In clinical fashion just moments later, City extended their lead as there was nothing Hunter could do about Abbi Grant's deflected effort on 37 minutes to give the hoe side a two nil advantage at the break. In the second half, it was all Glasgow City and Alannah Murphy's trip on Grant saw Howat make it 3-0 from the spot on 48 minutes. Another flowing move from the home side saw Howat complete her hat-trick on 55 minutes and she grabbed a fourth after a mix-up in the Killie defence 10 minutes later allowed her to pounce on a pass back and fire past hunter. City kept on coming and Kerr's cross found Jo Love but she shot into the side netting and Grant had a shot well saved after a City corner as City looked for more goals. Those goals did arrive and Joanne Paton made it six on 73 minutes with an effort that out-foxed Hunter before Megan Foley rounded things off with a thunderbolt from the edge of the box with 10 minutes to go. 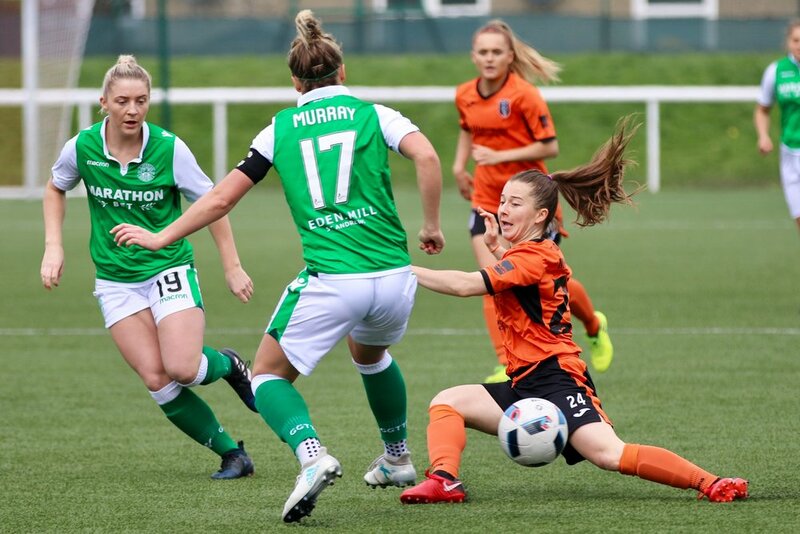 Hunter made two fantastic stops in the last minute to deny Howat and Lauren McMurchie on her final appearance for Glasgow City, but overall it was a deserved comfortable win for Glasgow City who will now play Spartans away in the quarter finals on 25th March. Forward Hannah Stewart becomes Scott Booth’s third signing for the new season as she makes the move from Aberdeen. The forward, who turned 21 just before the New Year will initially go out on loan to newly promoted SWPL 1 side Forfar, before coming back to City in May.